I’ve been working as a media trainer for two decades and I’ve prepared many people to shine in the media spotlight. I’ve taught them media skills and strategies. And, I’ve helped them to feel confident and in control when dealing with journalists. Recently, Sheelagh Caygill of Communicate Influence asked me to share my thoughts on the value of media training. Here is the interview. Given the dwindling importance of media coverage and the focus on influence marketing and social media, is media training really necessary today? First of all, I wouldn’t underestimate the power of traditional media which continues to be the source for much of what is shared on social media. And, secondly, I think media training is just as important as ever. It’s about interviews. But, it’s also about understanding journalists/bloggers and their world, knowing what to expect and how to interact. I see the media as an interactive hybrid, a blend of TV, radio, Internet and social. But, in spite of the shifting media landscape, the evolution of new media, the digital age and the 24/7 news cycle, the fundamentals of media relations and the skills required for successful interviews remain the same. People should recognize that the rules of media training don’t just apply to traditional media. They’re just as valid in the new social space. Remember we now live in a world where your tweet can be used as your quote of the day. What are the perils of not having media training, or even bad training? Whenever you speak to the media, you risk your reputation. So it’s a good idea to be prepared. Talking to reporters is not like talking to just anyone. There are rules to learn and skills to practice. Going for media training is like buying insurance. Is media training mostly about key messaging, or do you focus on facial expressions, body language, and posture, too? If so, how important are these elements to a successful interview? Key messages are an important tool in your media toolbox. If they’re well crafted, appropriate for the audience and you know how to use them, they help you take control in an interview. But, while your messages are important, they aren’t a substitute for answering the questions. As for facial expressions, posture and body language, they’re also important. Research has shown that almost 90 percent of communication is non-verbal. So you can be saying all the right things, but if your facial expression is inappropriate or your body language is not in sync or it’s saying something altogether different, you could be undermining your message. 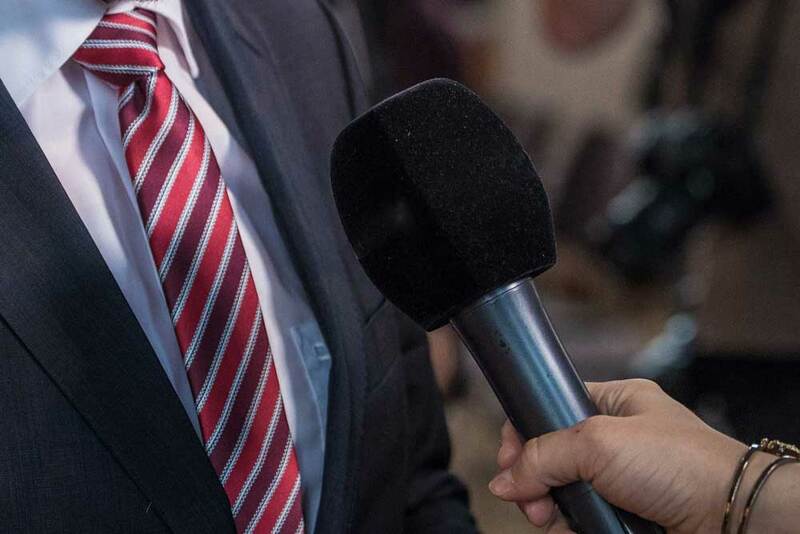 Can a person simply prepare for a one-off interview ahead of time, or do you think media training brings some real advantages? Certainly, one-off preparation is better than no preparation. But having the time to let things percolate is ideal. There are a lot of things to learn and it often takes time for people to absorb strategies and put them into practice. Media training allows for deeper learning and gives you a transferable skill set. Some people secretly relish the idea of being on TV or having their 15 minutes of fame, but then freeze before a camera or mic. What do you do when a client is a likely spokesperson but is prone to freezing? People freeze because of fear. Studies have shown that the more prepared you are, the less fear is a factor. The beauty of media training is that it prepares you in two ways. It builds your skills and your confidence. I see it as an investment that pays dividends. There’s no doubt that media training is essential when it comes to crisis communications. When it comes to the media, what are the key elements of successfully managing a crisis? The rules of damage control were established decades ago with the Tylenol crisis in Chicago when people died because someone laced packages of Extra Strength Tylenol with cyanide.This was in what many people would call the Dark Ages, long before the Internet or social media. Still, the way the company handled the situation set the bar for years to come. And, the lessons learned are still valid. Don’t hide. Respond quickly. Show empathy. Take positive action. What’s changed is the speed at which news travels. In a 24/7 news cycle dominated by social media, a crisis can mushroom out of control at lightning speed. That’s why it’s so important to be monitoring the coverage, responding and controlling the conversation. And, to do any of this effectively, you need a plan. It’s hard to think on your feet when your pants are on fire. A crisis communications plan is your blueprint for successfully navigating and surviving a crisis. I’ve listened to some pretty bad interviews where it’s apparent that the interviewee is stuck on key messages and the journalist is pushing for a real an honest answer to a question. It turns into a Mexican standoff. What’s happening here? Lack of creativity, a bit or fear? What solutions and advice do you offer? Some trainers actually tell their clients that the questions don’t matter, that what’s important is their message. In my opinion, this is very bad advice. You end up sounding scripted or robotic. And, the reporter will call you on it, saying that during the interview, you used the same phrase twenty times. This doesn’t reflect well on you. Certainly, there are times when you may be asked a tough, negative, speculative or controversial question or one you don’t know how to answer. For those occasions, I teach different strategies which allow people to seem respectful of the process and still remain in control. No Mexican standoffs. It’s common for people in PR or communications to push for media training, only to be met with resistance by their managers. How do you advise your frustrated peers on how to persuade their bosses? Ah yes, this is a very common problem. Persuading your boss to go for media training can be frustrating. I advise people to tie it to measurable business goals and profits. If your boss sees media training as a business investment that can boost the brand’s profile and protect its bottom line, he/she might be more willing. Often clients come to me because they’ve had a reputation-damaging encounter with the media. Why would you wait until you’re embarrassed or your brand is tarnished when you could have prepared in advance? My thanks to Sheelagh Caygill for the opportunity to share my ideas with her audience. And, I hope I’ve persuaded you that media training is time well-spent and a wise investment. 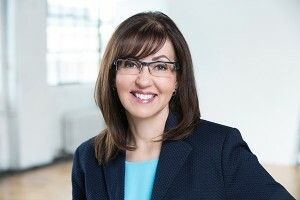 Irene Bakaric is the principal of MediaPrep, a strategic media relations consultancy based in Toronto. She specializes in media training. Crisis Planning – Where Are Your Leaders? Where Does Jian Ghomeshi Go From Here? Can a Textbook Crisis Response Save Das Auto? Social Media in a Crisis: Friend or Foe? Are the Tylenol Rules Still Valid? Is this a Rugby Game or Media Training?